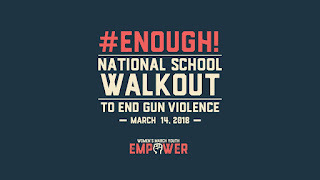 Now, the past couple days I did not pay attention to the media, and had I known that there was a walk out, I would have done it. However, my Professor had us discuss things today about gun violence, and said that if we want to do the walk out, we can, and she'd be right beside us. I want to make something clear. Where I live, there is no license that I know of for open carry. You have to be 18 to buy an airsoft gun that I know of. 80% of school shootings are with guns that were obtained legally. People quickly jump to mental illness to be the issue at hand. They state that "guns don't kill people, people kill people". Guns are weapon that are used to kill people yes, so why is it hard to bring into the idea that we should have laws to enforce gun control? As I stated before, an 18 year old in the state that I live in can obtain a gun and ammo at the age of 18 without a permit. That is alarming. I feel that those who are opposed to strict gun control feel that they will not be able to meet the requirements to be able to keep one. So it leads to guns being chosen over our children. I am not staying rid the ability to have a gun, but to have something in place where people who are not competent enough to have a gun, obtain a gun. People feel superior online by bashing these kids for practicing their right to freedom of speech but want to claim that their right of baring arms is infringed. Do not underestimate someones belief or wisdom because of their age. Yes, there are a few that make the stupid list, but that is not everyone. I personally have been in a "shooting" and I use "" marks because the shooter did not shoot at anyone thank goodness, but they shot in the air. I have also been robbed at gun point while at work. It is sad that today it has come now that in retail we must also train for active shooters as well as robberies. People are posting rude comments about "oh they ate tide pods just last week" which is just singling out a few kids, out of how many? Why does it matter? They still have a right to feel safe in school. Why must we during orientation go through active shooter training before we start our college careers? These are children, and I am going to assume that half these people who say anything just do not care about the well being of their children if they have any. It has not fallen on the shoulders of the teachers and children to get the attention of our representatives to begin discussing what measures to take to ensure the safety of the students in school. 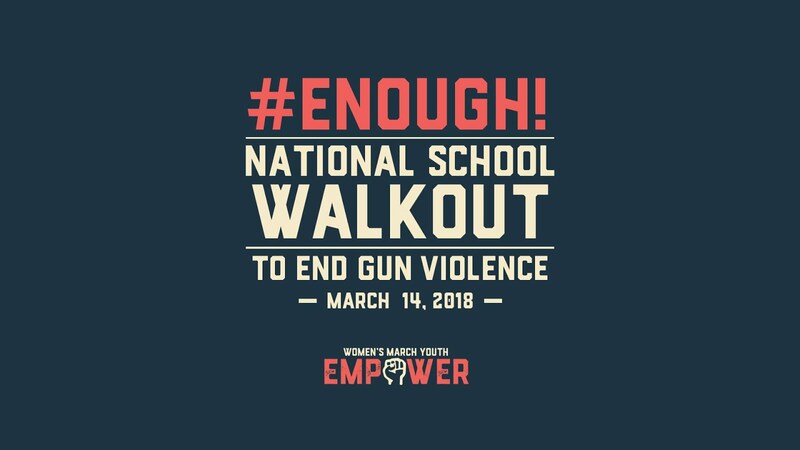 Teachers and students should not have to fear going to school every day. I implore you to stand with us, and fight against this barrier we keep coming across. Gun control does not mean that guns will be taken away, and we should not rely on a 227 year document as retaliation to the idea of much more strict gun laws in the United States. Guns have evolved, and we do not need to have high powered one in the hands of civilians. Update: So I've discussed this with my boss. Our store only sells airsoft guns which you have to be 18 years or older to get it. We do sell ammo though for other guns, however, our company now requires the buyer to be 21 years or older, which I find to be a good step forward.